Redbriar Antiques says, "These pictures were sent to us by Heather Bartolomei. 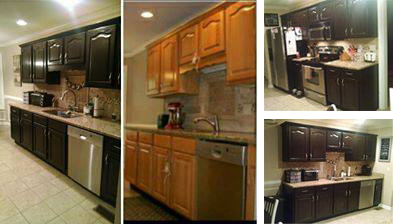 She has revamped her entire kitchen using General Finishes Java Gel Stain and what a fantastic job she did!! Amazing transformation, Heather. Great job!!"